We provide gardening services, planting, garden design, care and maintenance in the Wendover and Aylesbury area and throughout Buckinghamshire and Hertfordshire (and beyond! ), offering all you need to create and maintain a garden that suits your lifestyle. Garden KnowHow near Wendover has built a reputation for creating stunning planting schemes, choosing plants that work hard and add colour throughout the year. We listen to our clients’ needs and work to their budget. We are an enthusiastic, reliable, friendly and female-led team, committed to our clients’ horticultural needs. Our staff are qualified and fully insured. Whether you need a team of gardeners once a month; your baskets or borders planted for the season; a complete garden makeover or someone with the knowledge and ability to give you the confidence to do it yourself - Garden KnowHow can show you how. In addition, Garden KnowHow undertakes corporate contracts for hotels, restaurants, offices and show houses, where we ensure corporate image is always maintained and show house gardens are kept immaculate throughout the selling process. Garden Knowhow works with Roo's Landscape Installations for hard landscaping and garden construction projects. 1. Give someone you love a gardener for Christmas! 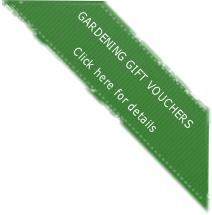 Garden Knowhow vouchers available. 3. Prune any ornamental or grape vines. 4. Dig organic matter into the soil. 5. Prevent any ponds, water features or bird baths in your garden from freezing over, and provide food for birds in the cold weather. 6. Carry out any lawn repair work, weather conditions permitting. 7. Support tall Brussels sprouts stems by earthing up. Lift and heel in celery to store. 8. Plants overwintering under cover should be watered sparingly to prevent rotting, as the plants are dormant. 9. Clear paths, tidy sheds and repair fences. 10. Sow seeds for alpine plants.